WP Fusion integrates with Formidable Forms to add contacts to your CRM when they submit a form on your site. You can also tag contacts based on the form that was submitted. After creating your form, go to the form settings and open the Form Actions tab. From the actions row, click the up arrow icon to create a new WP Fusion action. 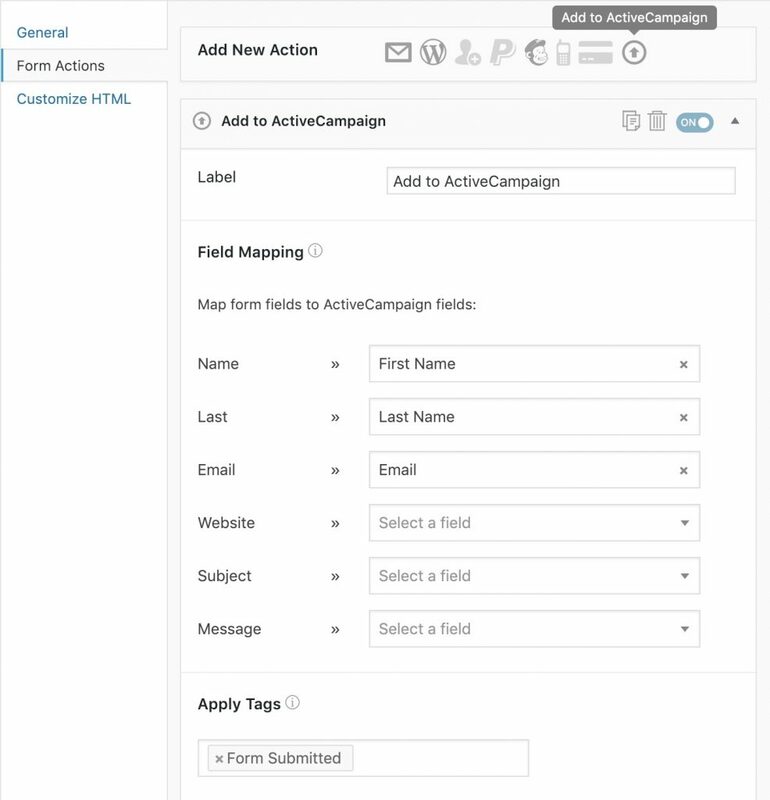 For each field on your form, you can select a corresponding contact field in your CRM to save the data. You can also specify tags to be applied to the contact when they fill out the form.